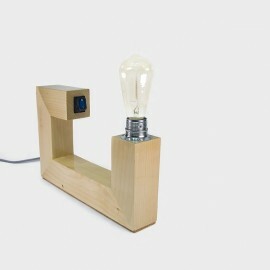 Lamps that decorate and illuminate. 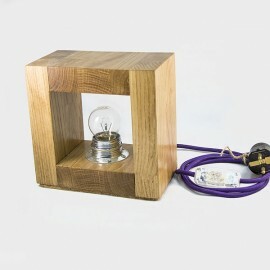 Lamps ideal for bedside tables, desks or receivers that do not renounce to illuminate with a touch of originality. 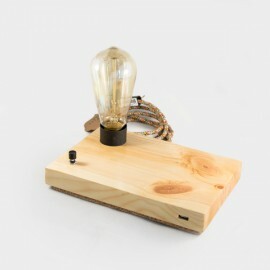 Original table lamp with ingenious mechanism on and off.Surprise your guests and give your home a style with personality. 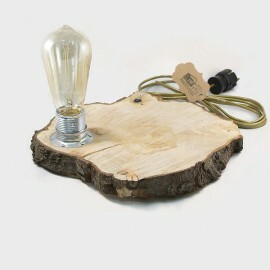 Lamp designed and elaborated from a section of tree trunk. 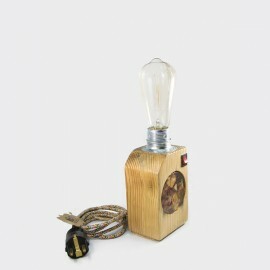 The texture of the wood and the warmth of the light get a cozy and pleasant atmosphere for that space dedicated to it. Decorate your space creating a cozy atmosphere where you want with a lamp full of personality that will not leave you indifferent. The allegory between rolling and life itself. 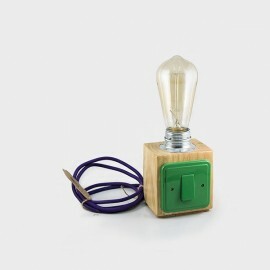 Sophisticated and simple with a small wooden base and a switch. Tic-Tac and light is made. 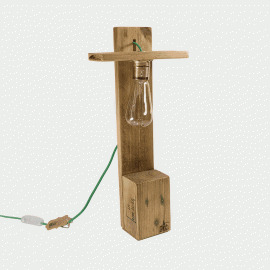 Mobile lamp with fun and functional design.It consists of two parts: a static base, and a moving part that will direct the light in the desired direction. 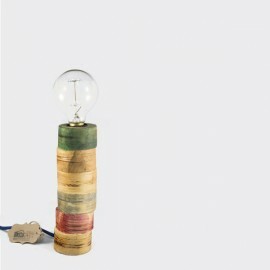 Simple, fun and charming, Idea is designed from a small wooden base and a striking switch.Red, yellow, green ... Give color, joy and style to your home. 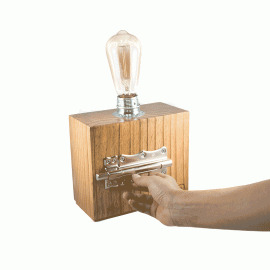 With an ingenious switch made from a bolt, life and light is given to a lamp that will surprise your guests. And when opening, the light was made. 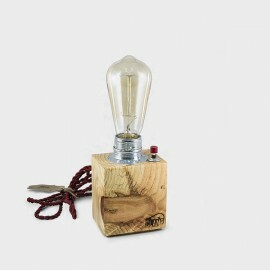 Lamp made with a wooden base and a central switch. Touch of targert to illuminate your stay. Protagonist in the place you give, Libertad is harmony, balance and style for your home. Square, serene, hard and at the same time delicate.Frame the light and make it the main character. 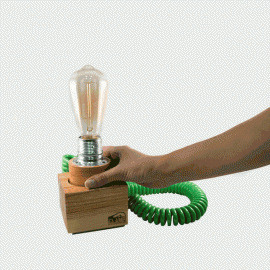 Crafts and technology united in a wise and functional lamp. Dupla is a source of energy to illuminate and recharge. The charger cable is not included.